Everything is bigger in Texas – and in Dallas everything is sweeter, too. 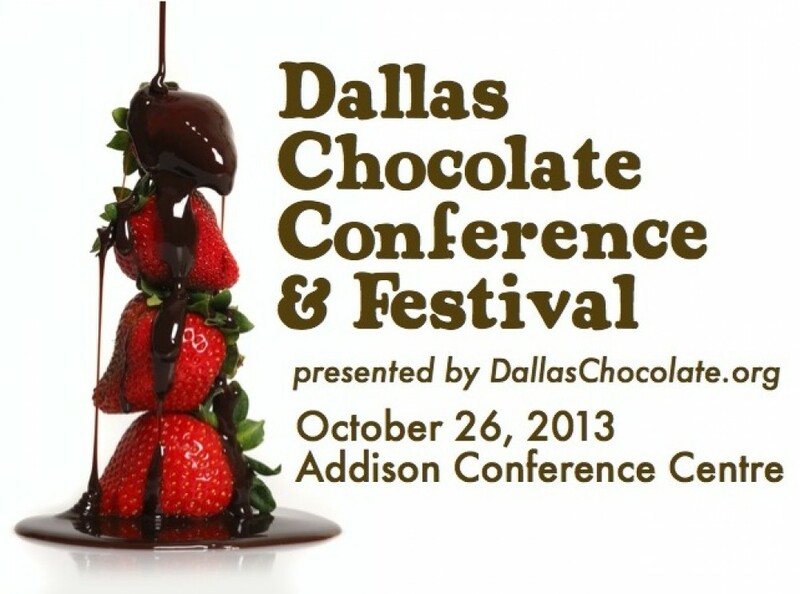 In celebration of DallasChocolate.org’s 4th annual Dallas Chocolate Conference & Festival on Oct. 26 & 27, 2013, Dallas is getting chocolate-covered with four days of everything chocolate across the city. With tours, pairings, seminars, tastings, and even hotel accommodations, chocoholics are invited to enjoy one unforgettable weekend, Oct. 24 – 27 in Dallas. Thursday, Oct. 24 6:30 – 8:30 p.m.
Who doesn’t love chocolate and who doesn’t love cheese? These two beloved favorites come together for a special presentation by two culinary leading ladies in Dallas, Dr. Sue Williams of Dr. Sue’s Chocolate and Paula Lambert of The Mozzarella Company. The evening event starts with a welcome drink and a tour of the Mozzarella Company factory. Then attendees sample a pairing of eight cheeses and chocolates accompanied by wine and bread. The ladies will discuss each cheese’s and chocolate’s characteristics. Dr. Sue’s Chocolate is a long-time exhibitor at the Dallas Chocolate Conference & Festival. $50/per person, limited seating. Make sure to get your tickets now for Dallas’ most delicious event, the Dallas Chocolate Conference & Festival, Oct. 26 & 27, at the Addison Conference Centre. Presented by DallasChocolate.org, the main event on Saturday allows attendees to enjoy fine chocolates from many local and delicious purveyors as well the unique opportunity to be educated on all things chocolate. In addition to the great chocolate, the event offers specialty classes, discussions, and activities led by some of the chocolate industry’s most reputable experts. For those attendees looking to get hands-on with chocolate, register for Sunday’s “Bean-to-Bar Chocolate-Making” class led by Scott Moore, Jr. of Tejas Chocolate and Alice Nystrom of Dandelion Chocolate. Purchase tickets now at www.dallaschocolate.org. Dallas by Chocolate Tours will be up to some scrumptious fun the weekend of October 25-27 with several tours perfectly paired for this spooky time of year. Both young and old are invited to enjoy any of these chocolate-themed tours, which host 20-24 guests and include private bus transportation. Several of the local chocolatiers included in these tours will also be present at the Dallas Chocolate Conference & Festival. “Cheers to the Weekend” Wine, Cheese and Chocolate Tour – Friday, Oct. 25, 6:30-10:00 p.m. Guests will start with a wine tasting at a fine winery (with cheese, chocolate, and fruit pairings) and then board a private bus to visit three additional chocolate venues for some indulgent desserts. These include Rush Patisserie (home of decadent French pastries); Dude, Sweet Chocolate; and CocoAndré Chocolatier. Price is $50 per person plus tax. “Chocolate and Wine Soiree” Tour – Saturday, Oct. 26, 5:30-8:45 p.m.
Saturday evening after the Chocolate Conference & Festival, guests are tempted with chocolate, wine and cheese pairings at a wine tasting, and then whisked by private bus to three more chocolate venues. $50 per person plus tax. “Chocolate on Chocolate” Tour – Sunday, Oct. 27, 11:30-2:30 p.m.
Beginning with chocolate croissants and mimosas and continuing with tastes of elegant chocolates, eclectic chocolates, and so much more, it’s a dark, milk, or white chocolate lover’s dream come true. $37 per person plus tax. Visit http://www.dallasbychocolate.com for all the details or contact Jeanine Stevens at 972.814.5997 or tardam@aol.com. The official sponsor hotel for the Ultimate Weekend in Chocolate, the InterContinental Dallas is the place to stay for chocoholics. Less than five minutes from the Dallas Chocolate Conference & Festival location at the Addison Conference Centre, this luxury hotel is also centrally located to several of the other chocolate events and the nationally recognized dining scene in Addison. 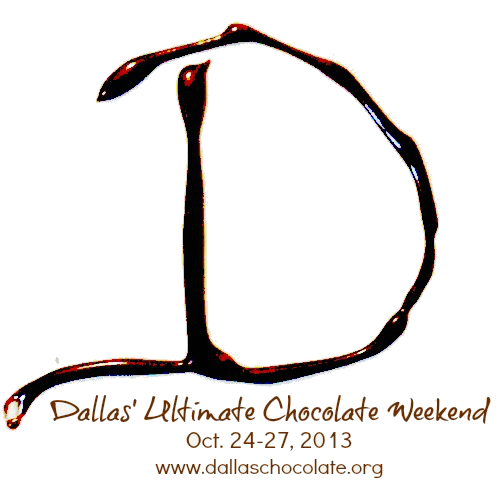 Several hotel options are available, so contact the hotel to reserve your Dallas Chocolate Weekend Package today. Make reservations by calling 972.386.6000 or at www.icdallas.com. 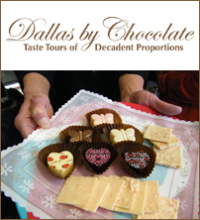 Stay on top of all things Dallas + Chocolate at http://www.dallaschocolate.org. Each year DallasChocolate.org awards a scholarship to a Collin College pastry arts student with academic merit and who shows an interest in chocolate. 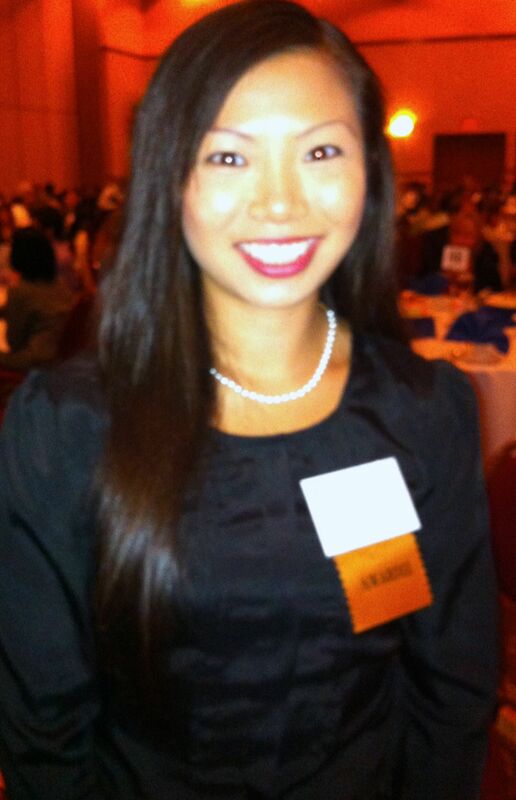 For a second year in a row, Emily Huynh was selected to receive the scholarship at a special awards ceremony hosted by the Collin College Foundation last night in Frisco. Huynh, who also received the scholarship last year, will be provided another year’s tuition to continue her dream of attending culinary school. The scholarship was made possible by funds raised during last year’s Chocolate Conference & Festival. To see more Dallas Chocolate news or to purchase tickets, please check out our Facebook or our Eventbrite link.